3 Bedroom Detached Bungalow For Sale in for Asking Price £899,950. 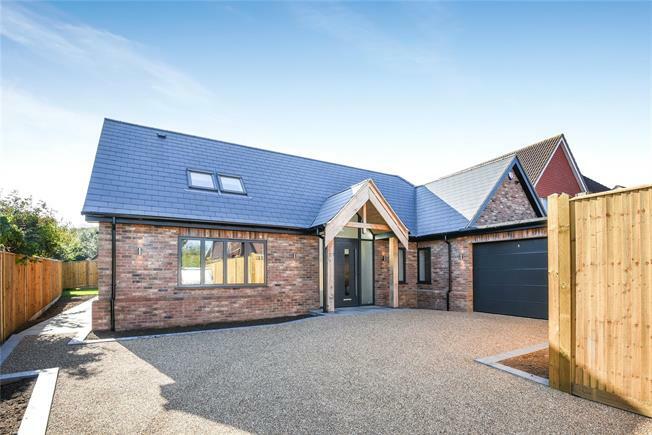 'Woodcroft' is a beautifully appointed and substantial three bedroom detached new build bungalow located in a sought after position with regard to Darrick Wood School and local shops in Locksbottom. The property is accessed from a long driveway with substantial parking and attached single garage. Accommodation includes a contemporary kitchen/ dining room with sleek lines and a substantial island breakfasting bar measuring some 27ft in length and featuring ceiling lights and sliding doors. There is a separate living room with attractive views over garden to rear plus two bedrooms both enjoying en suites plus bedroom three featuring access from a spacious hallway to shower room. Additionally there is a 70ft wide garden to rear with substantial patio seating area.